Have something to celebrate? Then, there are a couple of reasons to revisit Ray&apos;s & Stark Bar if you haven&apos;t been lately: a) I caught a Machop there, and b) they have a special lobster and rosé menu available through August 28. Chef Fernando Darin took over as the chef at Ray&apos;s late last year, bringing with him cooking influences from growing up in South Brazil with Italian parents. The restaurant&apos;s summertime Lobster + Rose menu offers a variety of different rosé wines that are meant to be paired with three different lobster dishes. There is no rule, of course, that you have to follow this suggested pairing. You could wash your lobster down with a beer or one of their several waters, selected by Martin Riese, actual water sommelier. The three lobster dishes range from a light and refreshing salad to an entire lobster and sides. 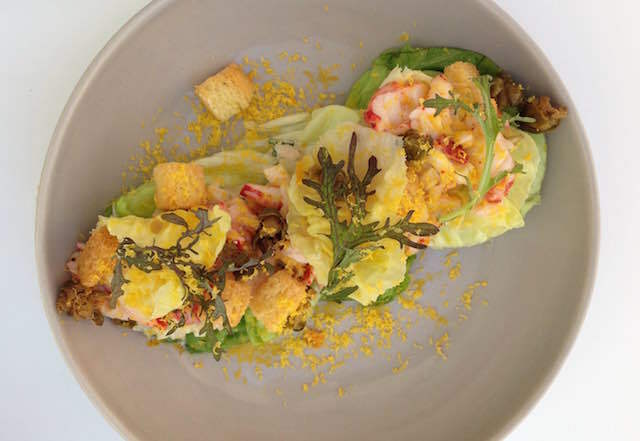 The lobster salad consists of fresh butter lettuce, apples and egg yolk, resulting in a perfect summer dish. The wood-fired lobster is ideal for a special occasional at $45. 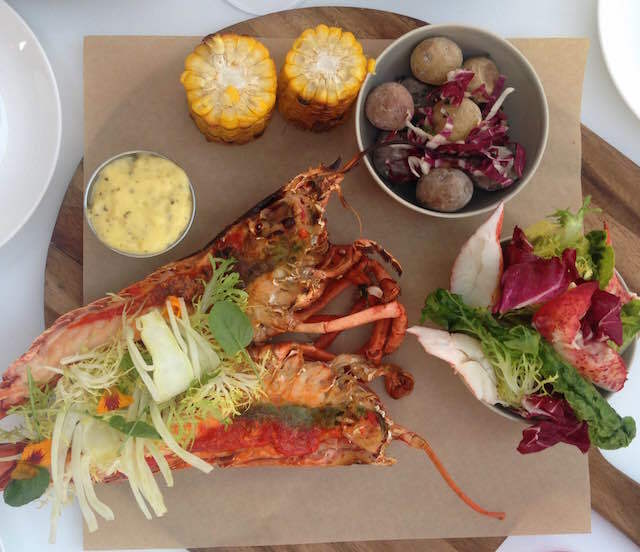 It is a whole lobster, served with potatoes, a fresh lobster salad, corn on the cob and a creamy bèarnaise sauce. The potatoes are delightfully salted, having been crusted in sea salt, and the cold lobster salad offers a fresh contrast to the baked seafood. Our favorite item, however, is the spaghetti alla chitara. 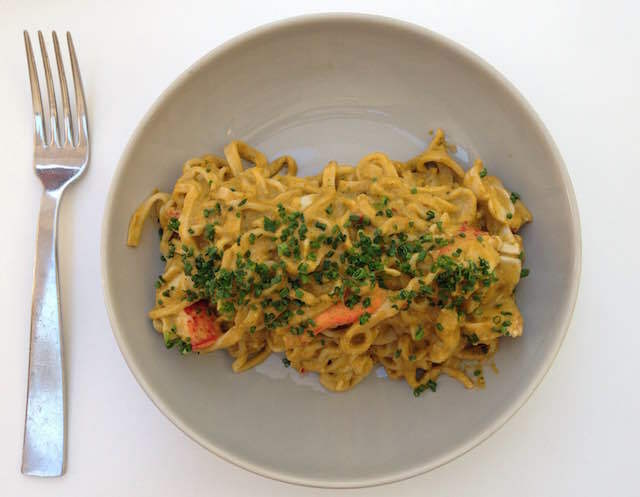 The dish is relatively simple, consisting of a Sicilian pesto sauce and poached lobster. The difference between pesto made in Sicily and other pestos is the addition of tomatoes and red pepper. It&apos;s a filling dish, and each bite is flavorful, even if you don&apos;t include the lobster. And if you don&apos;t like seafood, we&apos;ll recommend the bianca pizza instead. Trust us on that one. Eat up, then go check out Guillermo del Toro: At Home with the Monsters, opening at LACMA on August 1.